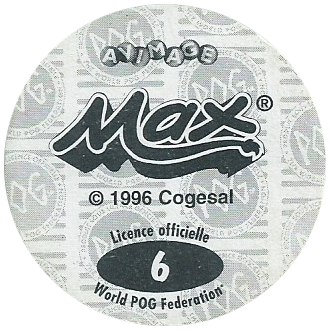 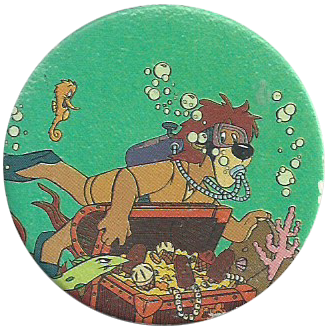 Info:These pogs were probably given away with packs of Max branded ice creams sold in France. 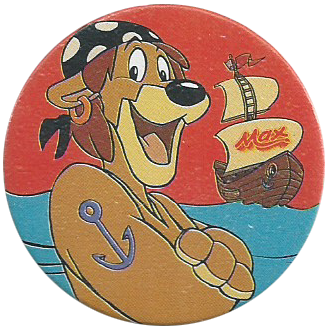 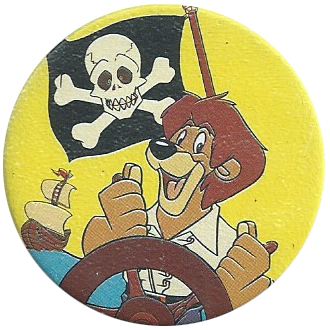 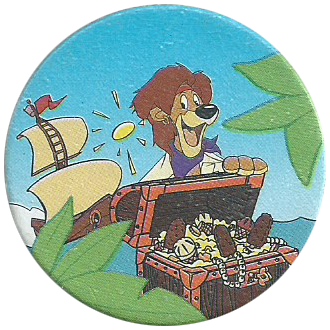 They feature Max the lion, the mascot of the ice cream brand, on various adventures. 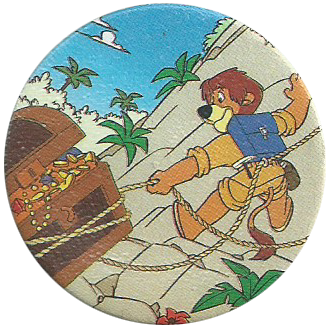 On the back they have a copyright notice assigning the copyright to Cogesal, a division of Unilever.